Ask a child “What do you want to become when grown up?” and you will find different answers each time. When I was a child and someone would ask me this question- I said “I want to become a Teacher” but the reason was weird – I said “because I want to punish naughty Kids”. Its not that I was not the naughty one but again how can you expect a logical answer from a 5 year old. Its been close to 2 years since I am blogging but I never wanted to restrict myself to a niche. But these days I started asking myself this question. I always see my Blog as a reflection of my Life. This is one of the reason I was never short of stories because Life itself present us with a new story each day. 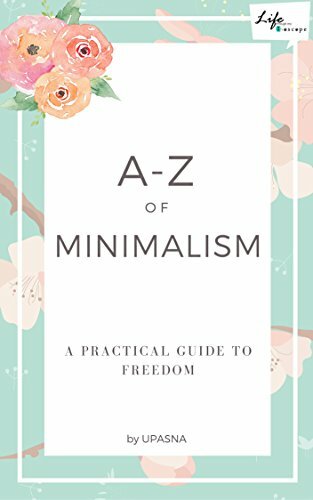 I took Minimalism as my Motto of living – which is nothing but a way of Life with less needs. It comes with an advantage – FREEDOM. Its not only about your Career or Job role, its about the way you want to present yourself as a human being. We always work towards better version of ourselves. No matter how determined we are on your path, we need like-minded people to share stories with and to encourage us during down time. This is why I thought about starting a Blog on Minimalism. I need a Community where we all can cheer each other up and appreciate Decluttering. Minimalistic living is so much saner and simpler, I think. Free from consumerism, we are able to really enjoy the small things of life and find joy in making beautiful memories. One of the difficult questions to get a final answer, sometimes it takes years to get an answer. That question is food for thought, Upasna. And it’s admirable how sorted your answer is. I loved reading this post. I love the sound of your new direction! Coincidentally I’ve written about the same thing- what our ambition is over the years. Although at a later stage the question of what we would like to be known for is sure a question to ponder over. Congrats on the new blog by the way Upasna. I admire the minimalistic way of life. It is definitely something we must all try and follow. Upasna! There are so many similarities between us and amazed how like minded souls can connect. Like you, my blog is not genre restricted and it reflects my persona, my space:) Enjoyed this post. This is one of the toughest questions to answer, and surely takes a while. Thanks for touching up on this.